What does 25 winning seasons mean to you? 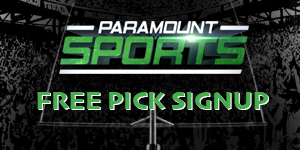 Hundreds of thousands of dollars to you even if you’re just a $100-$200 bettor. Not having to feel the depression of losing. 25 WINNING YEARS. That's right, Lee's clients have been winners an unprecedented 25 years. It's important for you to access this web site to find out about the most successful handicapper ever. Lee puts his HONESTY and REPUTATION on the line every week. Lee is unique and trustworthy because his selections are monitored and documented by people YOU KNOW and TRUST: Testimonials and Documentation. 1) National and Local media - Lee is a regular contributor to the Miami Herald, Las Vegas Review Journal, and Reno Gazette Journal and is respected as a reliable source of information by National Fox TV. 2) Local and National sports talk radio hosts where he appears as an INVITED GUEST on over 40 separate radio shows across the country, not as a paid advertiser. THESE MEDIA OUTLETS DOCUMENT AND REPORT LEE STERLING'S CONSISTENT AND PHENOMENAL SUCCESS. Read the testimonials and documentation now! 1st Place 2009 Reno Gazette Journal College Football Challenge Champion. Lee Sterling once again as an invited guest on over 40 national and local radio shows. His clients have been winners for 25 years. Read Testimonials from radio show hosts and handicapping contests who have monitored Lee's plays through the years. When you join Lee Sterling of Paramount Sports Now! Remember - You don't have to gamble, but if you choose to gamble you need to win. Lee Sterling has had 25 winning football seasons since 1992. To win, you need Lee Sterling in your corner. Read the testimonials and documentation and read about methods Lee uses that have made him successful. Then make the move that will give you the best chance for a successful season.